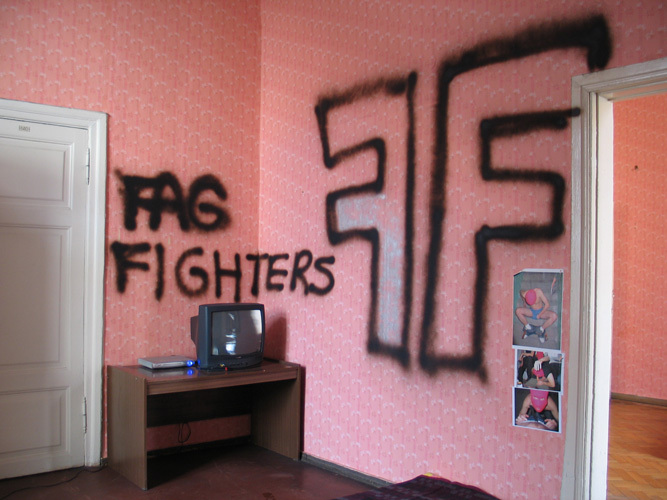 Fag Fighters are a fictional urban guerrilla unit, a gay-gang operating at the margins of mainstream society, marking their territory with graffiti signatures and committing acts of violence, including sexual violence. 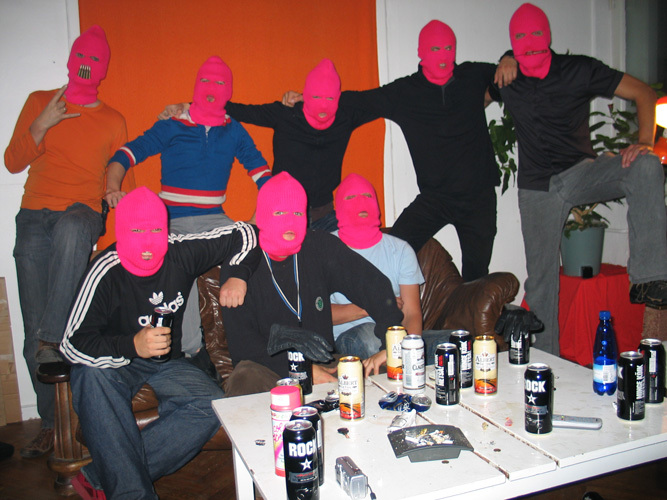 The Fag Fighters’ identification mark are their pink balaclavas. 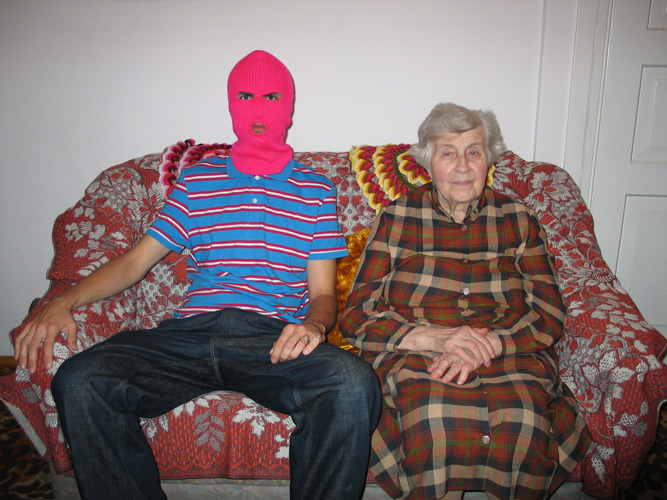 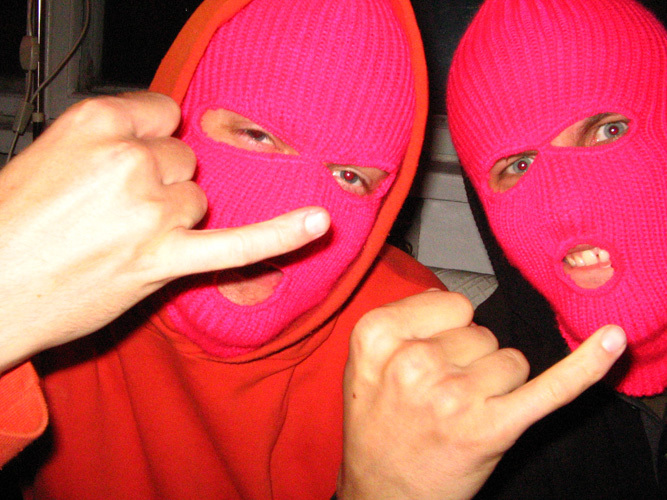 From the video Fag Fighters: Prologue we learn that the balaclavas have been made by Karol Radziszewski’s grandmother. 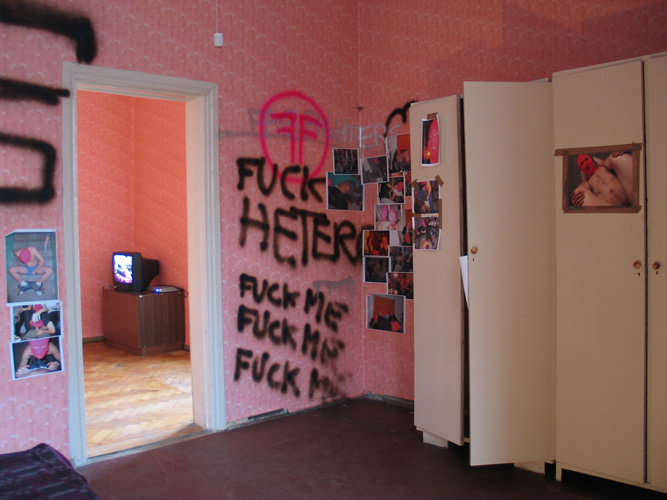 Poland’s right wing perceives the gay community as a deadly threat for social order. 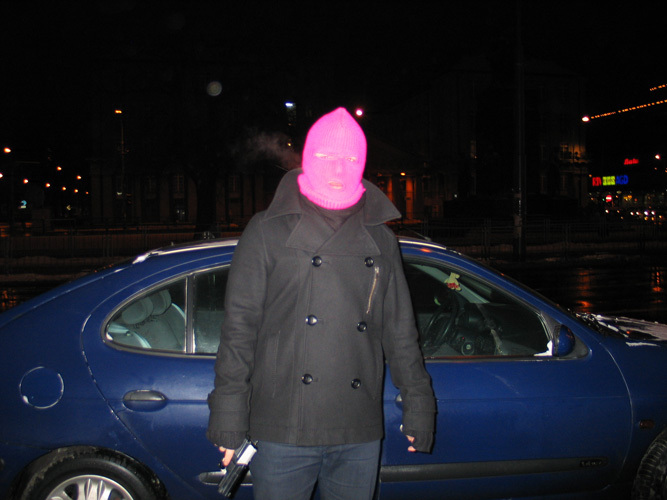 Radziszewski intercepts and amplifies the stereotype-based conservative discourse and transforms it into an asocial, anarchic, subversive fantasy. 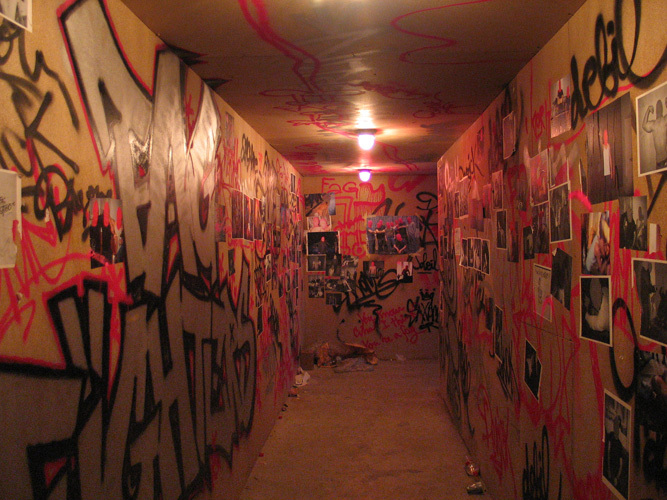 He also fabricates evidence of the unit’s activity—graffiti, footprints, amateur pictures taken by the gang members. 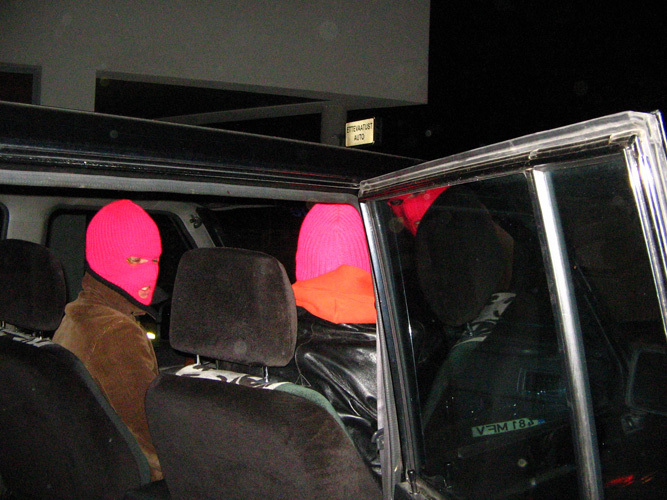 The border between drama and simulation is blurred; fiction appears disturbingly realistic. 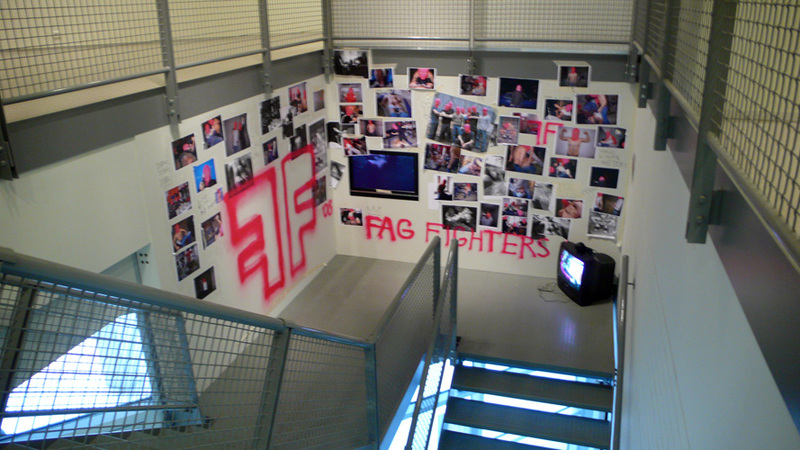 The video Fag Fighters: Prologue can be seen as a bridge spanning the two realities that Radziszewski introduces into the field of his art: the family and the gay subculture. 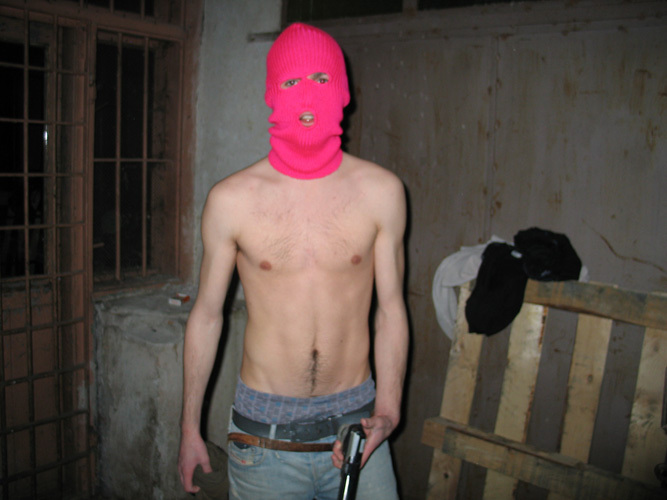 Both of these social spaces belong to the realm of the artist’s private life and yet they seem to be worlds apart; they are two opposite poles of Radziszewski’s identity. 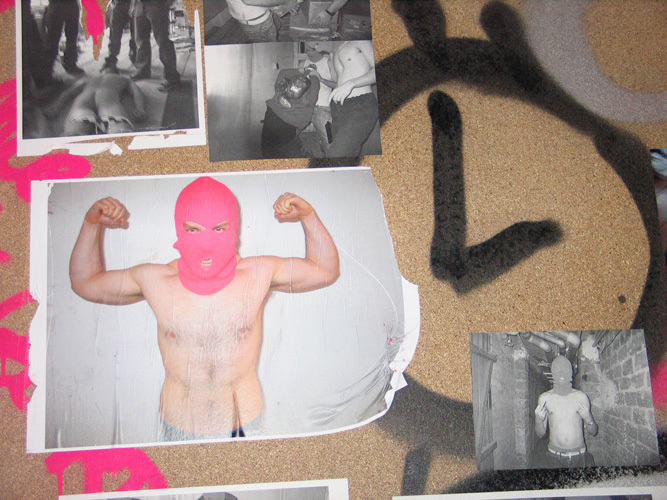 And yet the extremities unexpectedly meet in Fag Fighters: Prologue. 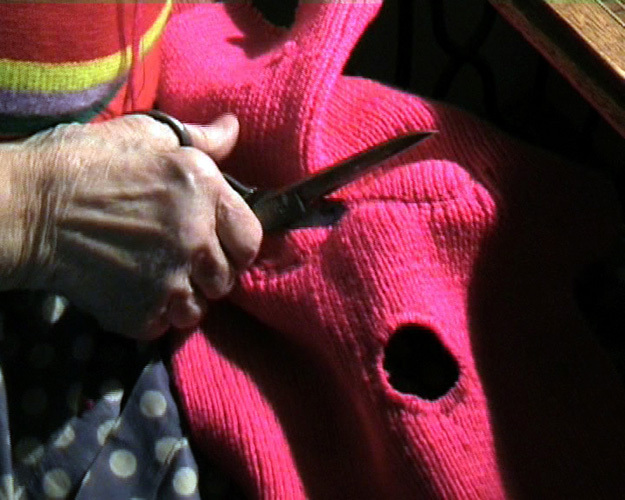 The video shows the artist’s grandmother making pink balaclavas on an old-fashioned sewing machine. 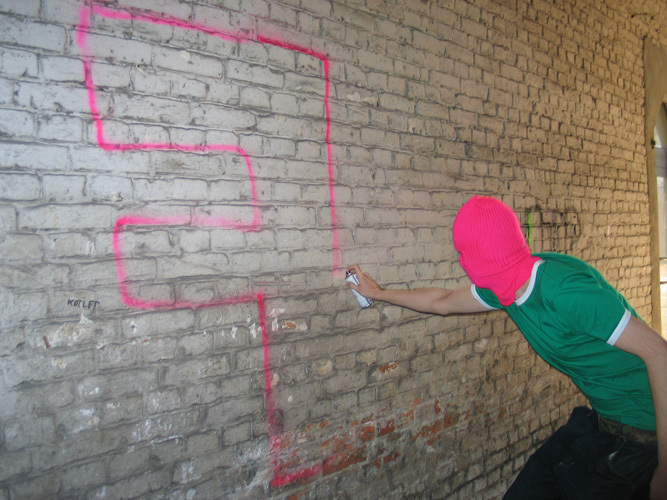 The caps will become an attribute of the Fag Fighters—a squad of gay anarchists invented by Radziszewski. 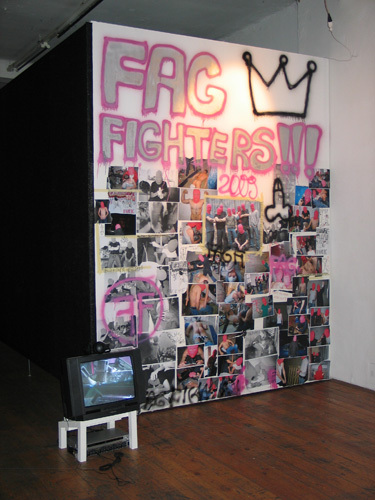 Fag Fighters: Prologue, 2007, DVD, 14'30"